An empty fridge begs to be filled, but it’s not always easy to keep this appliance fully stocked when you’re on a tight budget. The average family of four can end up spending anywhere between approximately $129 and $204 on groceries every week. That means most families spend more than $6,500 on groceries every year. Of course, this number depends on your diet, income, and location — which may be good news if you’re looking to take a bite out of your food budget. 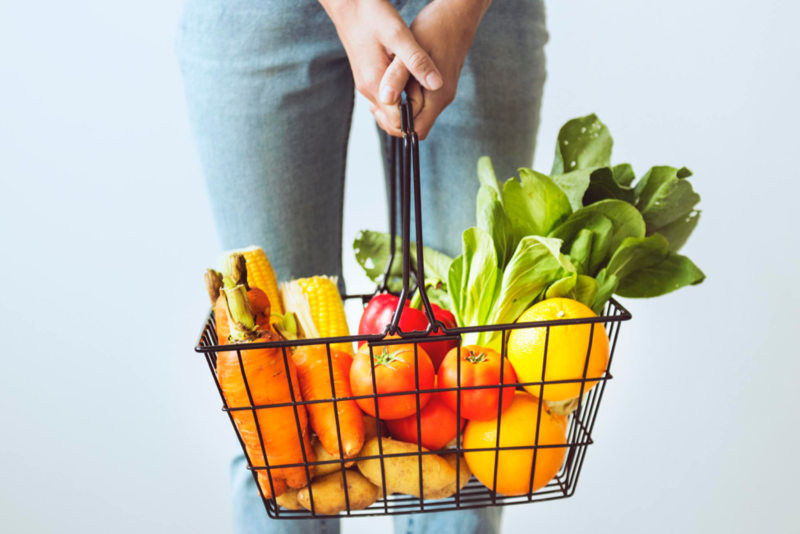 While the last two require making significant changes to your life, fortunately, you can help change your diet by changing what you put in your cart. If you’re tired of buying less food just to save a few bucks on your grocery bill, try out the tips below. 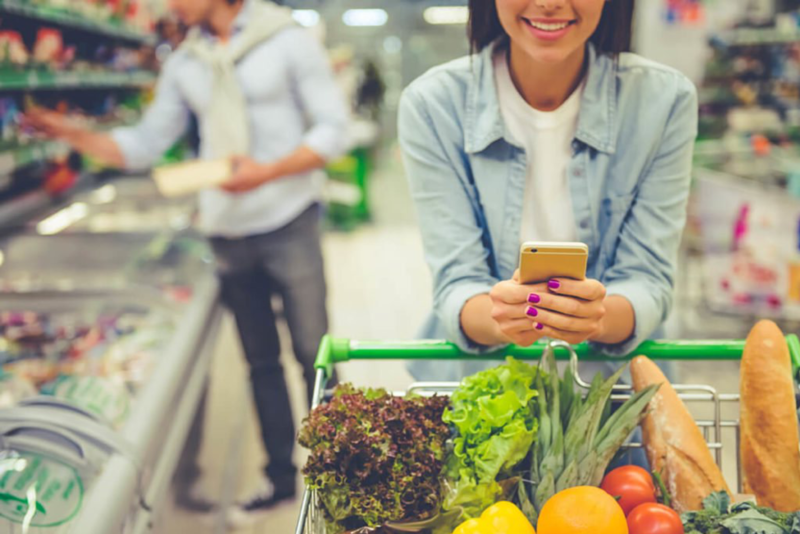 From grocery shopping hacks to food preparation tips in the kitchen, these suggestions may help you see significant savings on your next grocery bill. The Philadelphia Eagles didn’t win the Super Bowl 41–33 this year because they improvised. Like any football team that makes it to the championship game, they earned their spot by following a plan as opposed to “winging” a game. They likely ran through drill after drill in the lead up to the season, trying out different offensive and defensive strategies until they were second nature. Being prepared is important to ensuring success in professional organized sports. Though your closest grocery store may be a long way from a football field, following a plan also applies to your trip down the aisles. Going into a supermarket unprepared is an easy way to purchase items you don’t need and get ‘outplayed’ by your grocery store. A meal plan is your ultimate defense against disorganized shopping, and the good news is it can be relatively simple. Essentially, it’s an outline of all the meals you are planning on eating in a week, organized on a daily basis. Have you ever come home from the grocery store with ingredients that don’t work together to make a single meal? A meal plan can help make this a thing of the past. Planning your meals in advance forces you to map out the ingredients for every meal, so you’ll know exactly what to buy before you enter the store. This plan may also help you avoid wasting food or buying meals on the go. When you plan your meals in advance, you’re less likely to skip those prepared meals for takeout. If you incorporate upcoming sales and existing pantry items when making your plan, you may also save on weekly must-haves and avoid dropping a lot of dough on required ingredients. 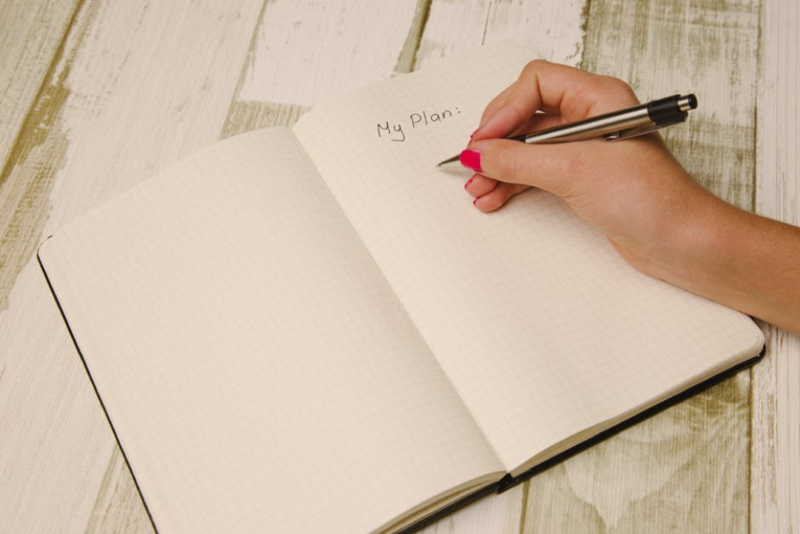 If you’re ready to create a plan of attack, check out this guide to meal planning. You may also want to join an online community to see how others are finding creative ways to plan their weekly meals. These resources may help you organize your meals for maximum savings and flavor. The most successful plan takes into account your budget and schedule, so you can create a menu that’s both tasty and economical. If you don’t already have a budget, take a look at this guide for help. It offers valuable insights into making a practical budget work with your finances. You may also want to join an online community to see how others are creating their meal plans on a budget. A Facebook group dedicated to healthy and affordable meals may show you creative ways to eat on a dime. You may even find a few friends if you start sharing your own suggestions. Finding the time and energy to cook is a challenge when you work full-time or — like many Americans — juggle multiple jobs at once. If a typical workday finds you arriving home after a long commute, after an even longer day at work, your energy level has probably hit rock bottom. Not only do you need fuel in the form of a nutritious meal, but you need rest — and lots of it. So you’re exhausted – maybe you swing by a drive-thru on your way home. Or maybe you grab your laptop, order from Skip the Dishes, and settle in for another night of takeout. Sound familiar? A lot of people rely on fast food when they’re tired, but the convenience of fast food and takeout isn’t sustainable for your health or your budget. Though filling, these meals aren’t nutritious, and they can add up. Prepping meals ahead of time: If you don’t have the energy to cook dinner after work, try cooking these meals when you do have the energy. The trick is devoting some time on one of your days off to prepare several meals in advance. Try out some of these make-ahead meals and freeze the extras for later. Using a slow cooker: This countertop appliance cooks food at low temperatures over a long period of time, meaning you can throw all the ingredients in before you go to work and your meal should be ready for you in the evening. 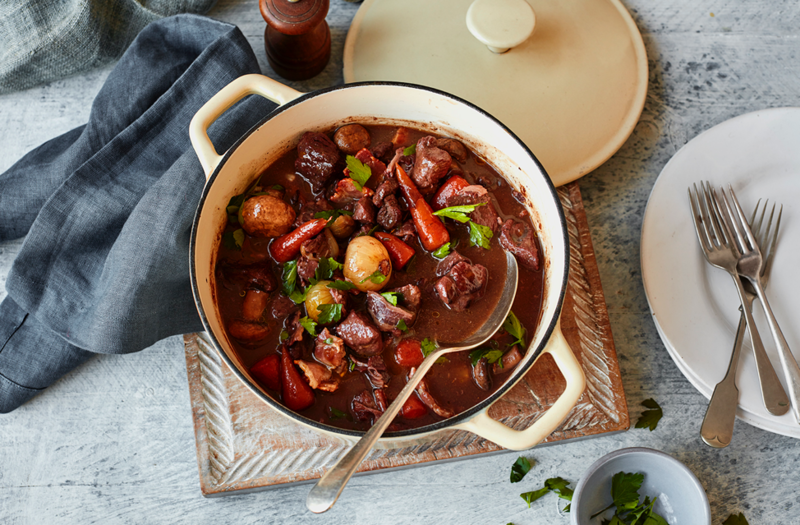 You can rely on your slow cooker to cook a variety of meals such as stews or soups. If you don’t have a slow cooker, make it your next savings goal. You can use this actionable savings guide to help you set aside cash for this new appliance. It offers simple advice on how you can generate savings by making subtle changes to your spending habits. These tips are helpful whatever your goal may be — whether it’s a new slow cooker or a summer vacation. Or maybe your goal is to set money aside for an emergency fund, so you don’t have to use short-term loans as a way to cover unexpected bills. Switching between slow cooked meals and frozen extras means you won’t have to rely on takeout. There’s no doubt you’ll have an adjustment period while you get used to preparing meals ahead of time, but it’s worth the initial discomfort. Best of all, your wallet will thank you. Let’s be honest — most people don’t like leftovers. Several nights spent in the fridge sometimes does weird things to your food. Meals that were once juicy and delicious fresh out of the oven come out of the microwave dry and tasteless. Nobody complains when the container of leftovers “mysteriously” migrates to the back of the fridge, sitting next to the container of lettuce slowly turning to a liquid. Out of sight and out of mind, it’s easy to forget about that container of leftovers until it’s too late. By the time you remember last month’s beef satay, those leftovers look more like a failed science experiment worthy of Dr. Frankenstein’s best, “it’s alive!”. No longer edible, your leftovers belong in the garbage. That disgusting plop of the moldy food hitting your garbage bin is a sound heard by many Americans. Americans throw out 150,000 tonnes of food each day — a weight equivalent to approximately 25,000 adult African bush elephants. To put that into perspective, that means every person in the U.S. throws out just under a pound of food each day. 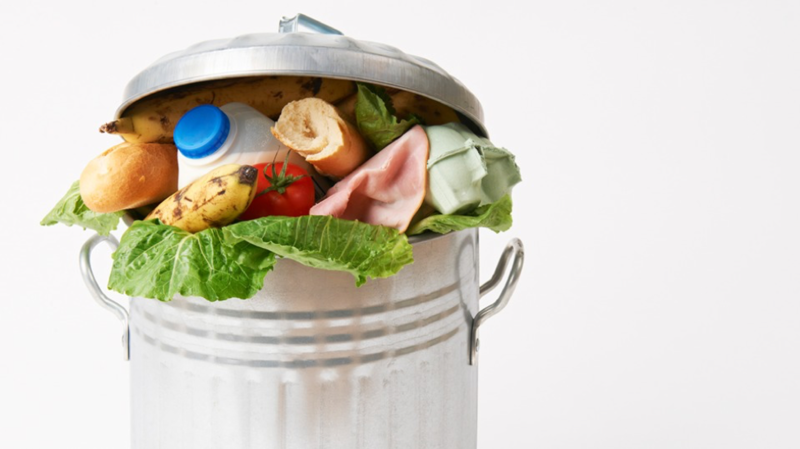 The USDA estimates roughly 30–40 percent of the country’s entire food supply is wasted. A large proportion of this waste is usually thrown out by huge corporations like packaging plants and grocery stores. Edible food may be tossed if it’s misshaped or blemished in any way. Restaurants may also be culprits of food wastage as they are required to follow strict health and food safety regulations. But homeowners contribute their fair share, too. The average family of four throws away as much as $1,800 of wasted food every year. 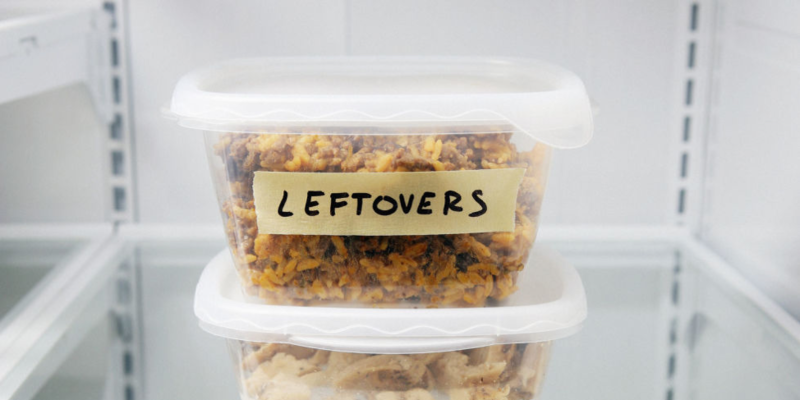 Following your meal plan: Leftovers don’t deserve the full blame. Spoiled spinach and expired sauces you never got around to using are guilty, too. When you organize your weekly meals, you’re less likely to buy random items that you won’t be able to use before they expire. Loving leftovers again: The only way you’ll eat leftovers is if they’re tasty. Check out the Greatist’s long list of recipes that incorporate common leftovers. Their guide shares simple ways to use up extra ingredients that promise big flavor. Doesn’t turkey chili sound a lot more appetizing than microwaving a dry leftover drumstick? These creative solutions to leftovers could not only be a delight for your taste buds but may also please your budget, potentially saving you more than $2,000 a year. That’s nothing to scoff at. These kinds of savings could be instrumental when you face an unexpected repair or bill you can’t afford. Reducing your waste may line your pockets with cash you could put towards a safety net. If you have cash set aside in your emergency fund, you are less likely to use an online installment loan to take on these expenses. Remember what you can potentially be saving with every bite of your leftovers. A list: Whether it’s a scrap piece of paper or an app on your phone, a list gives you focus. It helps you to stick to just the items you need for your meal plan and ignore those tasty snacks and sweet treats that could be a waste your money and not the healthy option. A calculator: Either your phone’s app or your child’s honking graphing calculator will do. Whatever you use, keying in the prices of each item you add to your cart can help to keep you on track with your budget. It also makes sure you’re never surprised by the final total at the till. Voracious, ravenous, or famished. 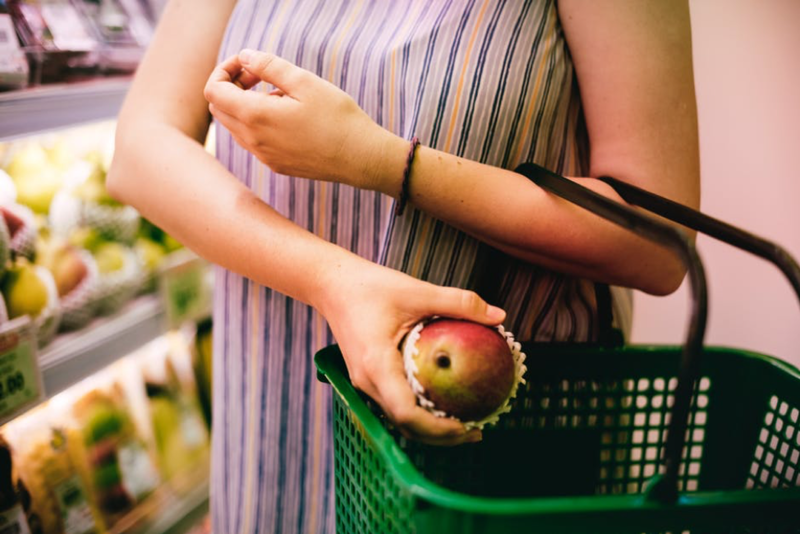 Whatever you call that ache in your belly, going grocery shopping while you’re hungry could be bad news. An empty stomach can convince you that buying that bulk-pack of mini chocolate bars or that box of frozen spring rolls or even that family-sized bag of salt and vinegar chips are a good idea. A study was conducted providing evidence to support that hungry shoppers will add more junk food to their carts than those who eat before they go grocery shopping. When you think with your stomach instead of your head, you’ll likely buy things you don’t need. Schedule your day so you aren’t shopping while hungry. This is an easy way to keep unnecessary snacks from bloating your bill. If you’ve only used your phone in the supermarket to call your spouse, roommate, or child to ask if you need more milk, you’re doing your phone and your budget a disservice. Whether you have the latest Pixel 3 XL or just a knock-off Droid, what you have in your back pocket is a mini computer. Its powerful processors could be capable of finding you deals at the grocery store. Checkout 51: This is a cash-back service that rewards its users for buying items already on their list, making it ideal for anyone who wants a hassle-free way to save cash. Once you pick the offers you like and purchase them, all you have to do is take a picture of your receipt. Once the folks at Checkout 51 can confirm you’ve purchased an eligible item, they’ll load your profile with the appropriate rebate. Once you hit $20, you can cash in and receive your first check to use however you like. SnipSnap: The people at SnipSnap have digitized the old-fashioned couponing experience. No longer do you need to spend hours flipping through flyers with your kitchen shears at the ready. You won’t need your old couponing book either. This app lets you take pictures of any print ad and save it onto your profile. That way, the coupons are easily accessible with just a swipe of your finger when you reach the register. But don’t worry if you’ve never been a couponer. Its Discover section is perfect for people who don’t want to find their own vouchers, as it shares a massive database of coupons waiting to be redeemed. Punchcard: This app replaces your customer loyalty and rewards cards, so you can earn rewards in-store without lugging around a heavy wallet. In addition to saving space, you’ll earn points on every purchase you make. You just have to take a picture of your receipt to get started. Once you accumulate enough points, you can choose to redeem them at your favorite retailers, use them to enter sweepstakes, or even donate them to charity. Attention to detail isn’t just a skill for your resume. This characteristic could save you money while grocery shopping. 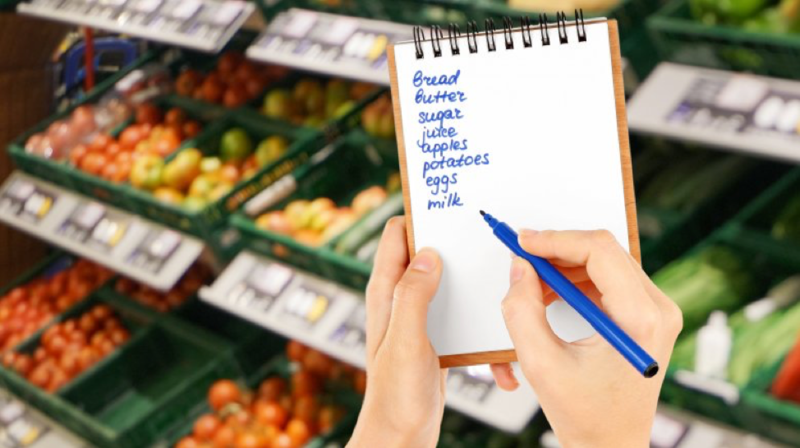 Crossing the ‘t’s and dotting the ‘i’s in a grocery store includes scrutinizing the listed prices of the items you need. Hellman’s, Kraft, and Betty Crocker — it’s natural to go for these household names over their generic counterparts, thinking you’re getting better quality products for the higher price. Besides being some of the most popular food brands in the country, they may also be some of the most expensive. It’s a masterful marketing tactic. In most cases, the only difference separating big name brands from their generic brand knock-off is their big price. Don’t believe it? Check out this chart to see how you end up spending more for the familiar label. As you can see, swapping out brand-name items for their cheaper counterparts may save you money. The individual savings may be small, but they have a big impact when you add them up together — especially if you save roughly $1 on every item on your bill. Walk into the average grocery store, and you’ll see mountains of avocados, heads of lettuce, and bananas in the produce section. A bounty of fresh vegetables and fruits are ready to purchase no matter what time of year it is — even if you have to stomp off snow from your boots when you first walk through the doors. If you take a closer look, you’ll notice these fruits and vegetables wear a sticker from other countries. Roughly half of all American fruit comes from places like Mexico, Chile, and Peru where a warmer climate makes it possible to grow fresh produce all year round. Though this imported produce makes it easy to get your 5 – 10 servings of fruits and vegetables a day, it can be hard on your budget. They have to travel a long way before they get to your local supermarket, and the accompanying travel and storage expenses raise their prices. Keeping an eye on your local seasonal guide can help you cut down on how much you spend on fresh vegetables and fruits. When you buy seasonal produce, local farmers’ yields are usually at their highest, so they can set lower prices. They also don’t have to travel as far to get to your plate, making seasonal produce a cheaper and eco-friendlier alternative to imported goods. Most American-grown harvests come in during the summer and early fall, making these months the easiest to buy in season. Based on where you live, this may become a challenge after the first frost. However, that doesn’t mean you’re stuck buying expensive imports all winter long. 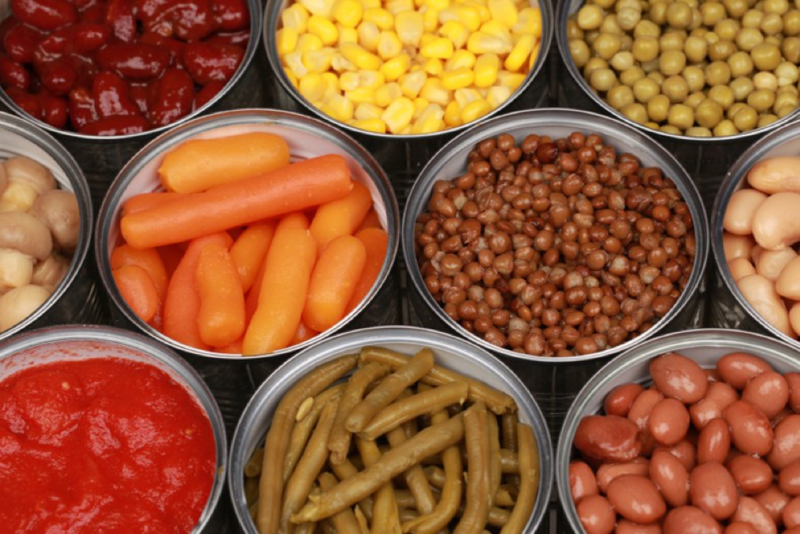 You can eat a balanced diet rich in vegetables and fruit by buying canned produce. Sure, things like canned corned beef and tinned cheeseburgers are the cause of some kitchen nightmares, but they don’t represent canned foods on a whole. Canning technology has come a long way from its modest origins in the 1800s, moving beyond condensed milk and baked beans to include a wide range of flavorful items. Some canned food options may be nutritious. Researchers at the Michigan State University (MSU) discovered canned fruits share similar nutritional content as their fresh counterparts. Their findings also showed canned food was typically cheaper than fresh or frozen alternatives. Canned goods deliver nutritious food wherever you live. It makes fruits and vegetables accessible to people living in ‘food deserts’, and it provides a cheaper option for those unwilling to buy produce out of season. Bacon for breakfast, a turkey sandwich for lunch, and a beef burger for dinner. This might sound awfully similar to the types of meals you eat every day, but it’s exactly what the Meatless Monday campaign is hoping to prevent. 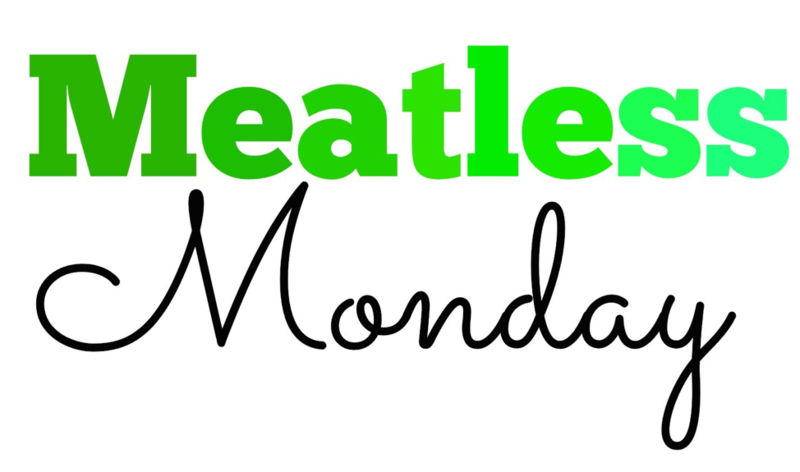 Meatless Monday is a non-profit initiative in collaboration with the Center for a Livable Future at the Johns Hopkins Bloomberg School of Public Health. It encourages people to go meat-free at least one day of the week to help improve their health and the health of the planet, replacing meat with plant-based proteins every Monday. Pound for pound, meat is often the most expensive item in the average grocery store. By substituting poultry or beef with legumes and beans, you could lower how much you end up spending on protein. Reducing how much meat you eat won’t just save you some cash at the register. According to the World Health Organization (WHO), reducing meat consumption may also save you from an expensive trip to the doctor’s office. In 2015, WHO classified red and processed meats (things like deli meat, bacon, and hot dogs) as carcinogenic to humans. There’s also a growing movement within the scientific community supporting plant-based diets as a means to help improve blood pressure and reduce chances of stroke, diabetes, and heart disease. If an unplanned visit to the clinic or a new prescription related to these illnesses would be a challenge to cover on your own, think about your diet carefully. Making small changes to your diet may lead to a healthier future where you don’t have to monitor or treat these issues. A healthier future may reduce your need for online payday loans if you don’t have to face the cost of unexpected medical care. Unless you’re already a veteran vegetarian, cutting out meat may be a challenge — even if it’s just for one day. Committed carnivores can limit the impact their choice of protein has on their budgets by cooking cheaper cuts carefully. Budget cuts like skirt steaks and pork chops sometimes get a bad rap. While it’s true you’ll never confuse either of them for a piece of Wagyu beef, you can still enjoy these cheaper cuts as long as you prepare them properly. Braising: Remember the slow cooker from above? It’s slow and consistent cooking technique is perfect for cheaper cuts. These slow cooker recipes soften grisly connective tissue without toughening the muscle, resulting in satisfying and affordable meals. Tenderizing: If you’ve had a stressful week, tenderizing is a great way of letting go of any pent-up frustration you may have. It involves pounding cutlets and steaks with a mallet to break down fibers in the protein that would make it a chore to chew. Research how you can incorporate these cooking methods into your culinary skill set. After testing out a few recipes, you’ll be able to figure out which technique works best with your cooking abilities. Just because you have to buy groceries doesn’t mean you’re stuck paying astronomical prices to keep your fridge full. Groceries aren’t like your rent or mortgage, which are fixed expenses that usually don’t change from month to month. Groceries are one of the variable expenses in your budget. That means you can control how much you spend on them week to week, month to month, and year to year as long as you’re ready to take accountability over the items in your cart. Every little bit adds up. From the few dollars you can save by buying generic brands to the thousands of dollars you may save by reducing food waste in your kitchen, these tips work best when you follow them together. Though they may result in small savings on their own, together they may totally change your financial relationship with food. More importantly, you’ll be able to keep your fridge and pantry stocked with healthier food options for less. Dip your toe into the world of savings by starting with a meal plan. Once you get used to organizing your weekly meals, make your way through the rest of this list and add new money-saving habits along the way. Leave a comment below to let us know which one saves you the most money, and don’t forget to share any of your personal tips for lowering the cost of your grocery bills!